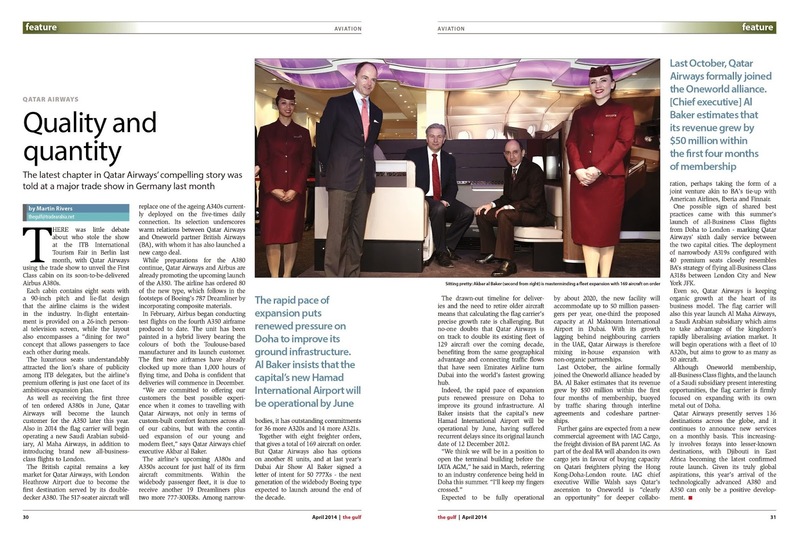 There was little debate about who stole the show at the ITB International Tourism Fair in Berlin this March, with Qatar Airways using the trade event to unveil the First Class cabin on its soon-to-be-delivered Airbus A380s. Each cabin contains eight seats with a 90-inch pitch and lie-flat design that the airline claims is the widest in the industry. In-flight entertainment is provided on a 26-inch personal television screen, while the layout also encompasses a “dining for two” concept that allows passengers to face each other during meals.